If you spend over two decades of your life responsible for generating leads and getting to know clients, you’re bound to pick up a thing or two about about boosting sales. In my case, I was lucky enough to spend seven of those years with Pipedrive. I learned a number of really useful tactics to help me drive growth and these tactics can work for almost any business trying to boost revenue fast. The following guide is my best attempt to tailor these insights into actionable tips for Pipedrive users. Hopefully they come in handy for you and your sales troops in the ongoing mission to seal more deals. Email, when used right, is still one of the most effective ways to establish a relationship between a seller and a prospect. Cold emailing can still be a critical lead generation mechanism for your business, but due to lack of time or skills, companies often send a generic sales pitch or a newsletter as the first email and end up missing this huge opportunity to make a connection. Try to add value before you go for the ask. You’ll find better results if you nurture your lead through relevant, valuable content before you use the hard sell. 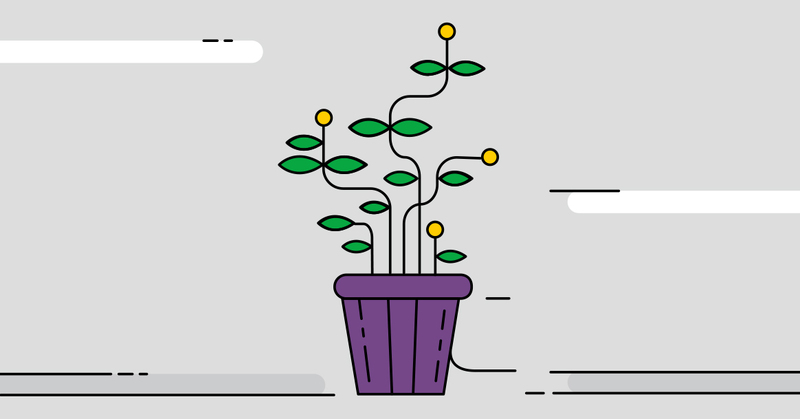 How do you nurture your leads and add value with your content? Match the content you send to the user’s level of purchase intent. Think about what information will be most useful to your lead when that email hits their inbox. Here’s some specific advice with a few effective examples from brands using helpful content to give before they get. A low-intent buyer will not be interested in buying your product. Maybe a blog reader has subscribed and you want to follow up to nurture the lead. Going in hard with a sales offer at this point might lose you a lead. Instead, send some educational content. Maybe you have a warmer lead who has made an initial enquiry or had a prior conversation with a salesperson at an event. Instead of forcing this interested lead to make a purchase decision earlier than they would like, you can email the prospect with a case study of a similar business who have seen success with your product. 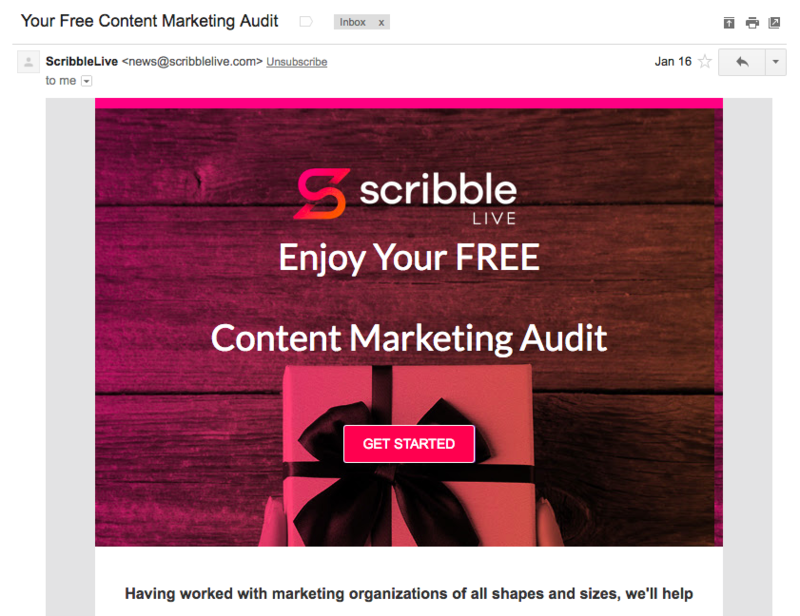 This content marketing audit offered by Scribble opens up the possibility of scheduling a call afterwards to talk through the results of the audit and propose potential improvements to move the lead closer to a decision. For a lead who looks close to conversion - a simple push to buy might not be the most effective way to close the deal. Instead, you can send a helpful guide about switching to your product/service or a link to a scheduler tool where the prospect can set up a call to manage final negotiations. You’ve probably seen the emergence of many new comparison sites that allow you to contrast the services of different brands selling things like flights, hotels, insurance, car rental and much more. You could create a comparison landing page of your own, incorporating testimonials from customers, quotes from experts and information from objective product reviews to add the authority and credibility your brand needs. 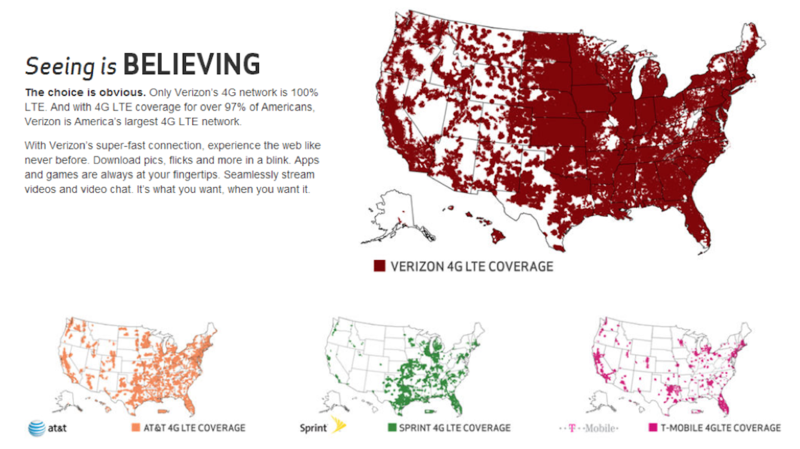 This infographic from Verizon is a compelling piece of content for a lead who is in the final stage of their decision and choosing between a few options. It’s important you focus on benefits and not features with this decision-focused content. Another good approach is to make the pitch personal to the recipient. Explain why exactly should they would want to take a call or set a meeting with you. This could be something the prospect has communicated on LinkedIn or Twitter, some aspect of your product or service that is particularly suitable for their company or vertical or some aspect of the company you’ve become aware of thanks to research. These may not be novel ideas, but there’s no need to reinvent the wheel when using email as a tool. Despite being easy to apply, many companies still opt for generic emails and neglect the benefits of tailoring your message from the get-go. Sometimes less is more, and companies that send fewer but better emails often reap more benefits than those who don’t. GDPR (the new data protection law in Europe) has hopefully been a crucial part of your most recent communications with leads. Getting consent from your contacts should not be an afterthought. Don’t wait until you need permission to overcome the obstacle. Be proactive and take the chance to spring clean up your list of leads. Is Your CRM Helping You Prepare for the GDPR Changes? Companies need to take compliance a step further than the traditional tick in a box. At first glance you may feel that this will put a dent in the number leads you generate, and it does. But sometimes less is more. Fewer, higher quality leads mean less rejections and less hours spent chasing cold deals. Don’t just be motivated to comply with GDPR based on your fear of hefty fines. View this change as an opportunity to improve your lead qualification process and provide a better nurturing experience to the fewer (but higher quality) leads that are genuinely interested to in the solutions you offer. When you nail the message of your emails and send them to the right leads, you should see a resulting nudge in email engagement. Open rates and click-throughs are an important indicator of interest and intent. You can use the way your leads interact (or don’t) with your emails as an easy way to filter the warm from the cold. For example: If you have a 1000 people in your newsletter list and 15 clicked on the “Check out this new service” link, those 15 leads are the warm deals you should be focusing on first. When I started lead generation for Outfunnel, the very first thing we did was set up a simplified email signup form. Only when people engaged with the emails that followed were they added to Pipedrive as a lead to follow up with later. While this meant less leads in our pipeline, the ones that made it were pre-qualified and of a lot higher quality. This saved myself and plenty of prospects time that would otherwise be spent on unnecessary conversations. You can get new Pipedrive Deals created from email clicks in the same way that I did by using a native feature like the Drip-Pipedrive or Autopilot-Pipedrive integration, or via third party connectors like Outfunnel, PipeChimp or trusty old Zapier. The reigning king of social media, Facebook, continues to be the social platform with the biggest reach in town. The sheer amount of ad options and formats are overwhelming, and staying up-to-date with can be a full time job. One format that many businesses continue to find effective is Facebook lead ads. It’s an ad like any other. Instead of a like, you receive an email address. This helps you build up your list of leads in a frictionless (Facebook already has that info) and GDPR-compliant way. 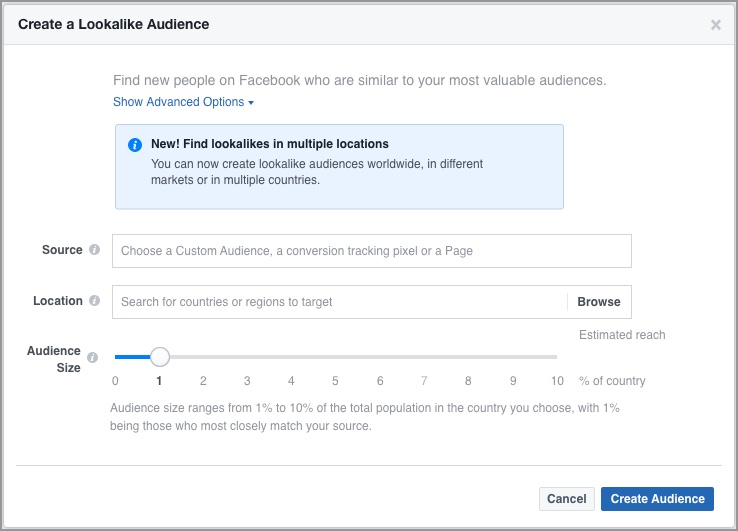 Facebook and plenty of other ad platforms allow you to create new audiences based on people that have previously purchased your products. Facebook calls these “lookalike audiences”, while on Google Display Network they are called “similar audiences”. Step 1: Create a Pipedrive filter of people of “Won” deals or deals that have reached a particular field (however you record purchases). A lead’s business email may be different from their personal email, so you may want to add Name and Location as columns so Facebook can additionally use this data to match your list to its users. Bonus trick: Use Zapier to make your new Facebook leads appear directly in Pipedrive. It’s easy to get lost in the turbulent world of Twitter, but and you can find some priceless information on the platform by using it to get to know and qualify your leads. Step 1: Brainstorm queries that could indicate user interest in hearing about you or your service. If you’re selling advertising services, a good query might be: “ad+agency+recommendation+ireland” or “web+designer+jobs+USA” - you get the gist. Step 2: Set up a zap that searches for these queries and adds new matches to a spreadsheet or sends them to you as an email or Slack message. All that’s left to do is follow up with ones which seem most relevant and tackle opportunities where you feel you can add value. LinkedIn wants to make sure you have as many contacts as possible, and they generously recommend new people you should connect with. If you let even a small portion of those recommendations through, you probably have dozens of leads among your 1st Connections. While you could comb through them on LinkedIn and send them InMails one by one - the former is tricky to do because there’s no way to “bookmark” which people you’ve already reviewed. Not to mention the fact that InMails tend to have an lower response rate compared to good old traditional emails. 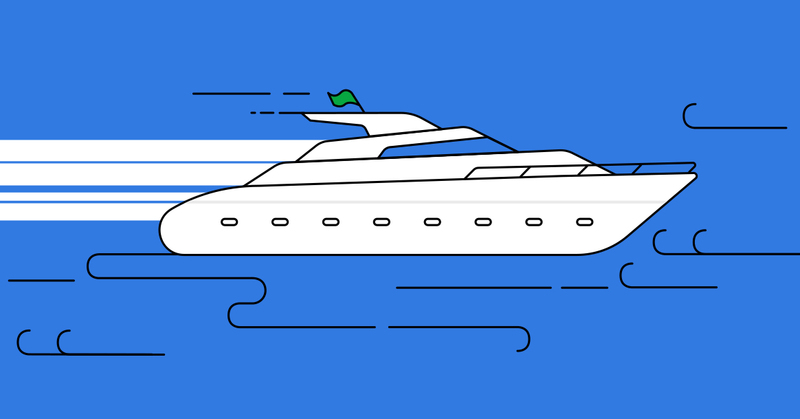 Export your Connections and go through them in a spreadsheet, then import the tidied-up list into Pipedrive and initiate sales conversations where all the necessary background information is neatly added. Use These 6 Tactics from Right Now to Start Generating more Top Quality Leads! There you have 21 years of marketing know-how condensed into six lead generation tactics I have successfully used and continue to use to this day. The list isn’t exhaustive, but I did find my most practical and easy to implement options. I hope you’ll be able to find a way to tailor them to your unique sales process. Be sure to let me know which ones were most effective for you and your team!